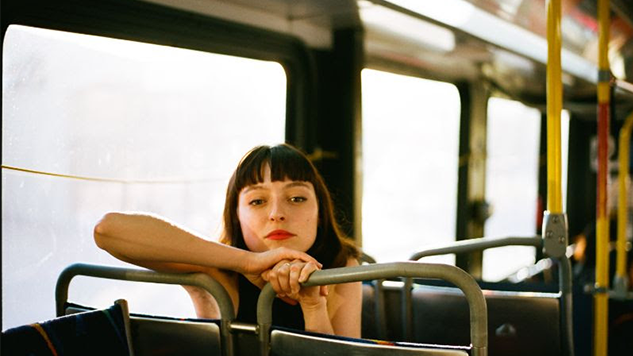 Stella Donnelly Releases Video for New Single "Lunch"
There’s something simultaneously wonderful and woeful about being able to meet up with friends for a fleeting moment. Despite enjoying your time together, you know it won’t last long and something’s changed about them that you can’t quite put your finger on. It’s a bittersweet feeling that increases as adulthood marches on, and gets thrown into high gear if you’re a touring musician spending most of your time on the road. It was a massive team effort the night before I flew away on tour. A song that was only ever meant to be played on a single guitar and sung turned out to be the most intricate and textured piece of music I’ve ever produced. I wrote this about the feeling of displacement I get when I go on tour and come back and nothing feels the same. There’s a disconnect there. The video, created by Donnelly using an early-2000s camcorder, reflects this theme with homespun charm. The snippets show joyful meetups with friends, meals, board games and, of course, one very adorable dog. At the end of the day, though, that’s all they are—snippets, passing moments, cherished because they are likely outnumbered by the duller moments of tour. Donnelly’s already made her mark with the song “Boys Will Be Boys,” released in 2017, which spoke out against victim-blaming. She recorded this forthcoming album in June of 2018 backed by a band composed of her best friends: bassist Jennifer Aslett, drummer Talya Valenti and guitarist George Foster. Check out the video for “Lunch” below, along with the album’s cover art and Donnelly’s tour dates. You can preorder Beware of the Dogs, out March 8 on Secretly Canadian, here.